Back-to-School Night: Meet New TNCS Teachers and More! Thursday, September 11th was The New Century School‘s Back-to-School Night for the 2014–2015 academic year. Back-to-School Night is TNCS parents’ chance to learn how their child’s classroom operates. Whereas Orientation is a more general introduction to school, at Back-to-School Night, families get details on everything from what the daily schedule looks like to when it’s their turn to provide class snack. Teachers introduce themselves and their teaching styles or philosophies and explain the curriculum (K:1st syllabus), demonstrate how their educational materials are used, and answer parent questions. 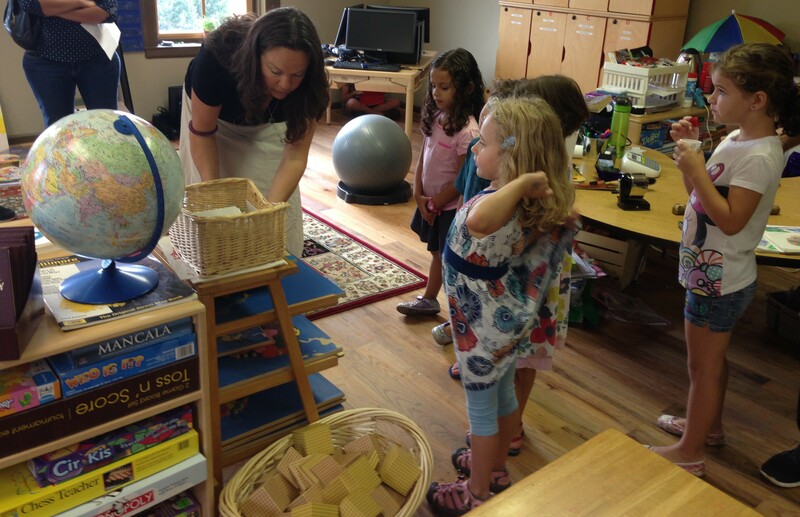 TNCS’s new Kindergarten/1st-Grade teacher Teresa Jacoby. I believe that each student is an exceptional individual who requires a safe, caring, and encouraging learning environment in which to grow and mature emotionally, intellectually, physically, and socially. There are three elements that I believe are beneficial to establishing such an environment: 1) the teacher acting as a guide, 2) the child’s natural curiosity directing his/her learning, and 3) encouraging respect for one’s self, others, and things found in our world. New for the 2014–2015 academic year, Kindergarten/1st-grade teacher Teresa Jacoby introduces her students to the classroom and its special routines. She also believes strongly that education is optimized when a mixture of self-guided exploration, small-group learning, and one-on-one instruction is utilized, very much a TNCS-held value. Just as TNCS focuses school-wide on inquiry-based learning, in her class, such inquiry “gives students ownership of their learning and more lasting knowledge of the skills needed to achieve real understanding,” she says. Additionally, Mrs. Jacoby believes that critical thinking/solving problems is key to developing leadership skills, the ability to collaborate in teamwork, and self-sufficiency as individual learners. As appropriate for a General Studies teacher, Mrs. Jacoby can pretty much do it all (art, math, special ed, etc., in addition to what has already been mentioned), but she says she has more and more discovered her special fondness for science. She incorporates scientific thinking into every nook and cranny of her curriculum in fun ways that ignite her students’ curiosity. “The kids are so naturally curious; it’s nice to discuss [science] with them, and they like to talk about it,” she said. She also has students keep journals, which gives her another way to guide them in further exploration of topics that they have broached. “Just like a well-oiled machine works efficiently,” she says, “so does a well-thought-out and planned classroom environment.” Thus, the classroom she shares with her (also new) Assistant Teacher Mrs. Kimberly Tyson, with her own impressive résumé, encompasses several discrete learning environments—there’s a technology corner equipped with computers, an area with worktables for groupwork such as with manipulative materials, a large carpet for whole-class circle time, and even a settee for students to sit back and enjoy a book on individually. She also generously brought along her own personal class library, which students are encouraged to use as much as possible. Mrs. Jacoby brought her own personal collection of books to create an in-class library. This gentle monster hangs on the wall to remind students to pay attention with their whole bodies! Staying above the manners line is the goal for Mrs. Jacoby’s students. Mrs. Jacoby’s students started reading and writing immediately. This exercise built vocabulary and self-esteem simultaneously. Students develop a strong connection to place and a healthy sense of self with brilliant touches like seeing their own smiling faces identifying their individual jacket/backpack pegs. Each envelope contains a cards depicting objects that begin with one of two letters for students to sort and practice spelling. 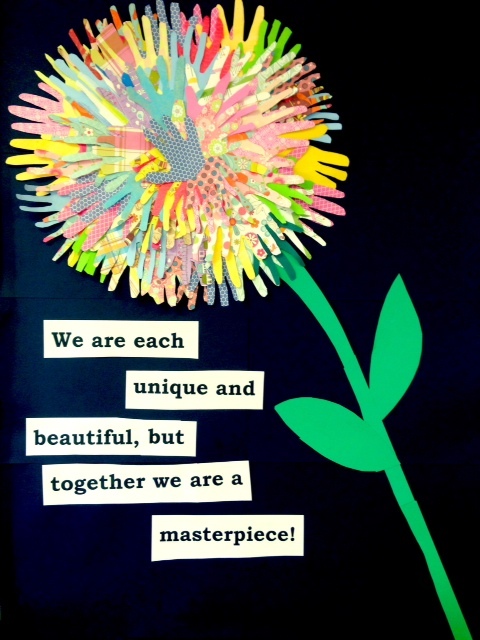 This artwork was created by TNCS elementary students to exemplify the school-wide theme of Community Building. Finally, mutual respect is the capstone of Mrs. Jacoby’s pedagogical approach and is yet another way she shows just how right for TNCS she is. “A healthy learning environment must also include respect for all, a sense of safety as well as trust,” she says. “I work extremely hard to build a learning community based on mutual respect for one’s self, others, and our surroundings. Creating a strong sense of community in my classroom instills security, which builds trust and in turn builds comfort levels conducive to learning. I nurture that sense through personal modeling, class meetings, role play, and reflective journals.” It just so happens that TNCS Head of School Alicia Danyali’s first theme of this school year is Community Building, and school-wide, students have engaged in activities that help them grow stronger both as individuals and as a team. We welcome you to TNCS, Mrs. Jacoby, and anticipate an incredible first year together! Stay tuned for more posts in this series to meet TNCS’s other new lead teachers and learn the inner workings of their classrooms! 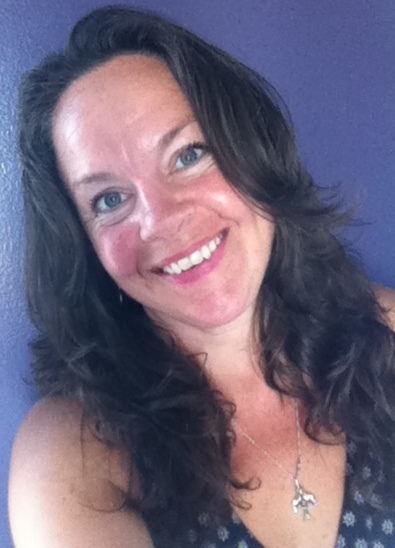 Teresa Jacoby holds a Master’s Degree as a Reading Specialist from Loyola University in Maryland and a Bachelor of Science in Elementary Education and Special Education with an Art Education Minor from Northern Arizona University in Flagstaff. She also has an Advanced Professional Certificate Special Education 1–12 and an Advanced Professional Certificate Reading Specialist Certification, both from the state of Maryland. She has taught a wide variety of students ranging from Kindergarten through 8th grade Special Education in all content areas in both self-contained and inclusion environments. She also has run many extracurricular activities from chairing the Science Fair to Chess Club to Lego Robotics Club. She lives in Baltimore and enjoys using her artistic skills in and out of the classroom, gardening, riding bikes and spending time with her family. This entry was posted in Early Childhood Education, Elementary Education, Progressive Education and tagged 1st grade, Alicia Danyali, Back to school, community building, critical thinking, Curiosity, inquiry-based learning, Kindergarten, leadership skills, mixed-age classroom, problem-solving, self-sufficiency, Teresa Jacoby, The New Century School. Bookmark the permalink. ← It’s Good To Be Back at TNCS! Pingback: Immersed | TNCS Students Get the Wiggles Out and the Learning In!